In which we explore how a woman who admits she doesn't love puzzles nevertheless creates at least one new puzzle every month. 01:59 - "Let's talk about Puzzled Pint!" 14:47 - the wrong question: "was it too easy?" 21:39 - when do we get good at making puzzles? 29:05 - Puzzle Hunt Calendar, Trenchwood (Doctor When), Thanksgiving, and more! 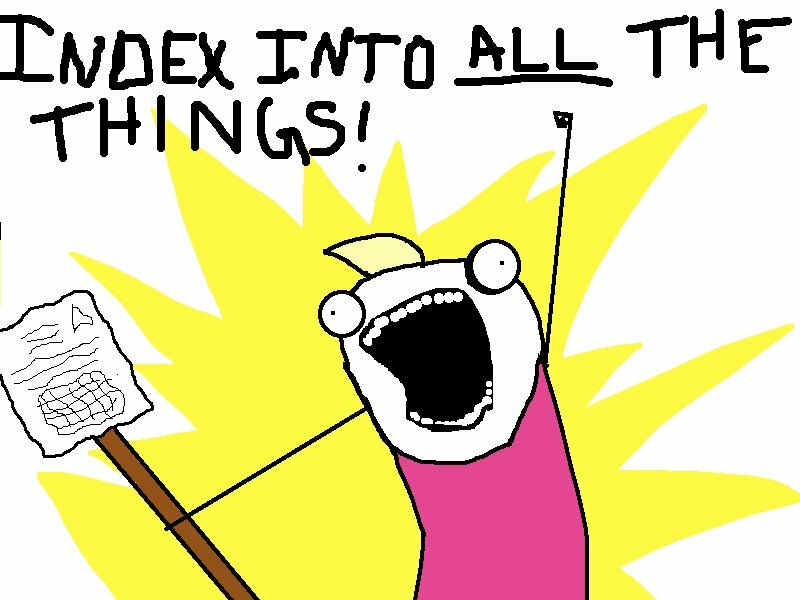 I think "Index into ALL the things" was mostly in reference to Orlando, from the recent MS Puzzlehunt. (puzzle PDF) I didn't work on this one, so I only took an occasional glance at our team's spreadsheet. But there are a lot of pieces of data in a Magic card, several of which are numbers, and several of which are words. And I'm pretty sure we indexed into all of the latter using all of the former at some point or another. Being confused is OK for a while. Being confused but thinking that you know what you're doing is a lot of fun, too. For everyone's reference, because it's a hilarious blog, the "X all the things!" meme originally started here: http://hyperboleandahalf.blogspot.com/2010/06/this-is-why-ill-never-be-adult.html and has been co-opted for various things around the internet.